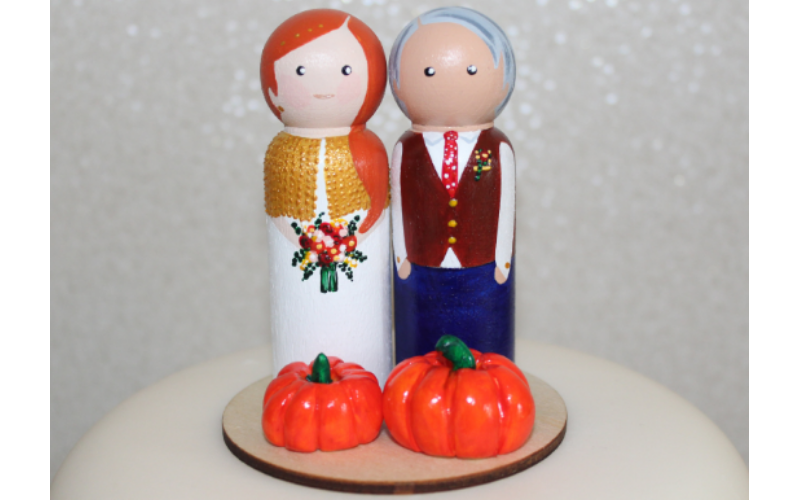 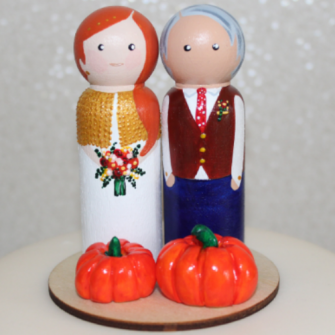 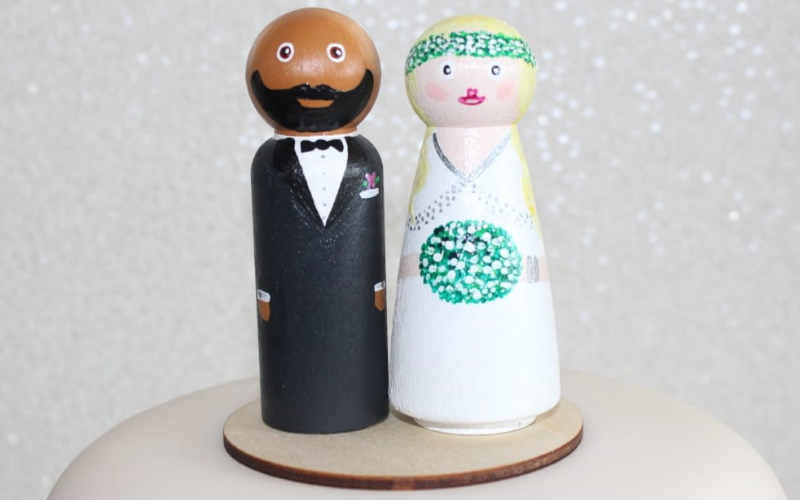 Creeveroe Crafts creates truly unique cake toppers that live on long after your wedding day as a beautiful keepsake that can sit on your shelf as a lovely reminder of a perfect day. 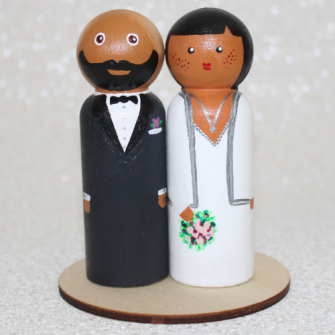 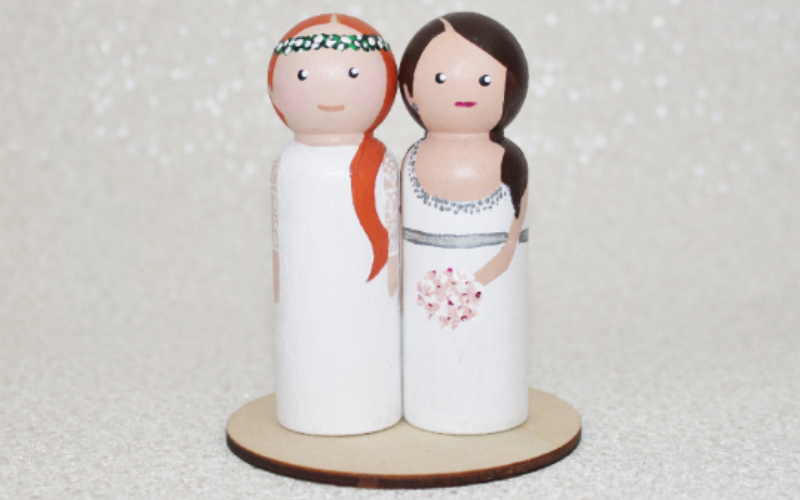 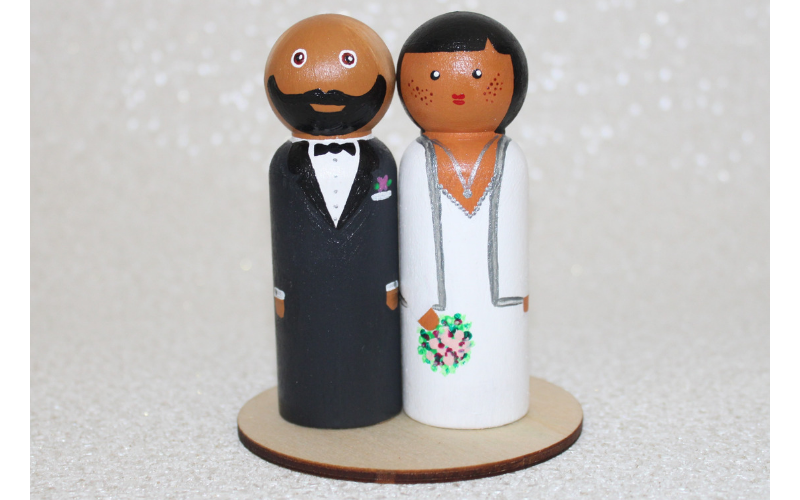 These cake toppers are a true representation of you and your partner as you will appear on your big day. 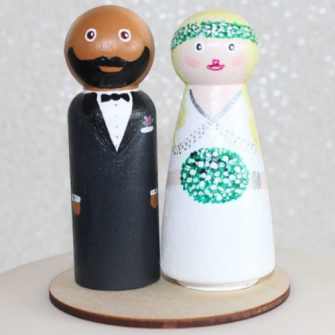 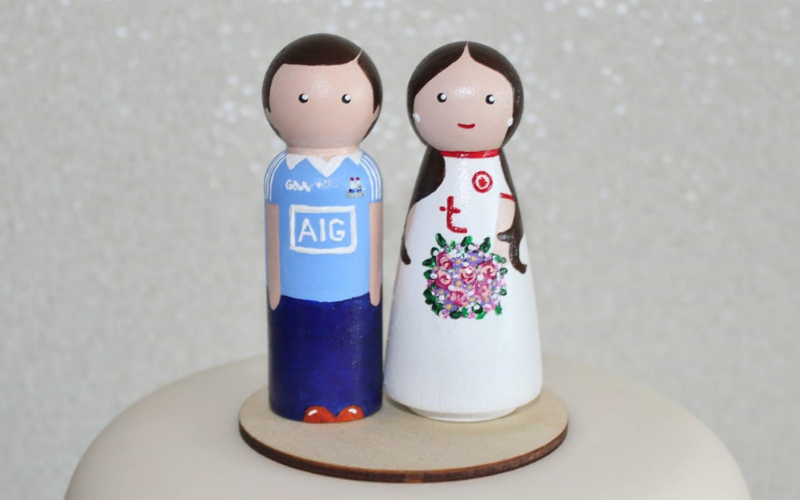 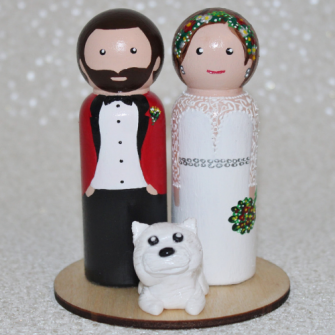 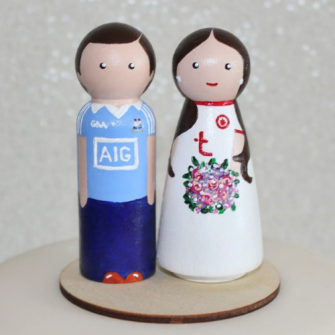 All you need to do is send the team some pictures of your dress, suit, hairstyle or flowers etc and Catherine will create a miniature replica of you and your partner to stand proudly on your cake. 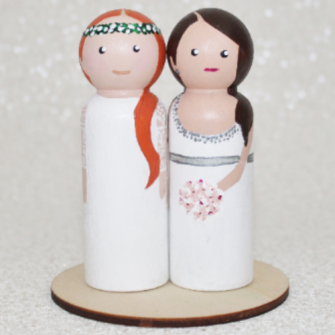 Children can also be included. 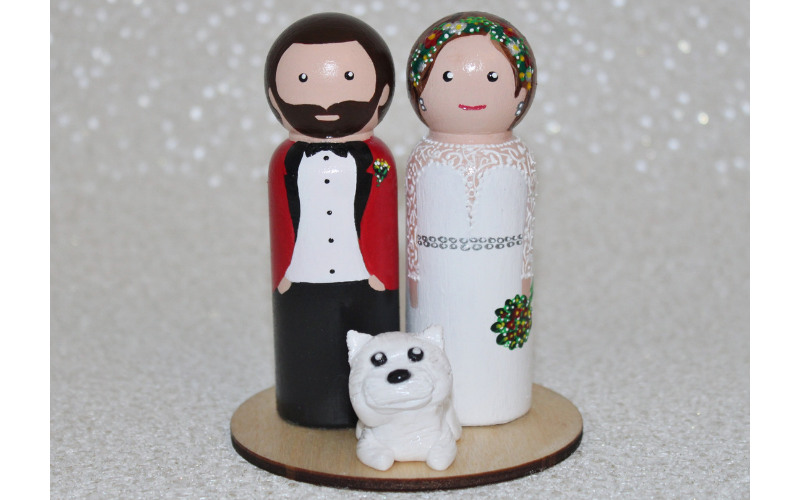 Bridesmaids and groomsmen need not miss out as they too can be crafted as a quirky thank you gift.